Book Review: "The Berenstain Bears Hugs and Kisses"
Coloring pages, puzzles, stickers oh my! This book will bring lots of fun to your kids! 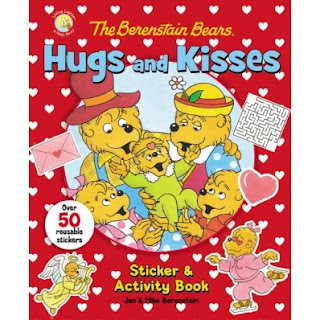 My kids have enjoyed these Berenstain Bear sticker and activity books several times. They seem to be making the sticker and activity books for each season and holiday! Within all the activities in this book there is scripture sharing Christ's love! The book discusses God's creation and Noah's Ark.